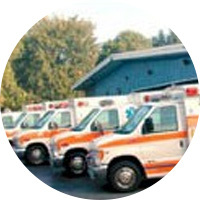 About Us | GAVAC - Greater Amsterdam Volunteer Ambulance Corps Inc.
GAVAC brings the emergency room to the patient. With technology such as 12 lead EKG, Medicated Facilitate Intubation, Transport Ventilators, Auto Pulse CPR devices, and much more, GAVAC can provide optimal care to each and every person in need. GAVAC’s 1st Call: At 11:50 p.m. on December 31, 1966 the initial crew of Mrs. Jane Ahrens, Raymond Colinas and Reverend Donald Jansen, answered the first of many calls to come. June 7, 1969, after raising an additional $50,000, the current GAVAC building in Amsterdam was opened to keep pace with the community needs. GAVAC becomes County-wide Ambulance services as the service area grows with the acquisition of the Fonda Fultonville Volunteer Ambulance Corps. Construction of the Fort Plain Station at 25 Hancock St. allowing GAVAC to provide faster response times to the Fort Plain and Canajoharie areas and along Route 5S. In the beginning, emergency medical calls in Amsterdam were cared for by seven area funeral directors. 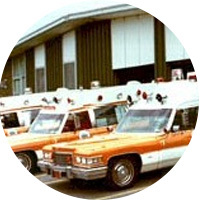 In 1966, New York State mandated that ambulances be staffed by only trained and certified technicians by 1967. Due to the limited manpower and rising costs, six of the funeral directors discontinued their services. Seeing the need to provide service to the people of Amsterdam, Reverend Donald Jansen, Pastor of the Forest Avenue Methodist Church called for a meeting of interested and concerned citizens. After the meeting, a new agency was formed. To enable this agency to be in service, two used ambulances and necessary equipment were required. This task was monumental. In a span of three weeks, surrounded with dedicated men and women, the Reverend Jansen went door to door raising funds. When the hard work was completed, $33,500 was raised to purchase the new equipment. Among others, first president Robert Long, Charles Mahoney and his wife Phyllis, Bill Pope, Vincent Bialobok, Al Traskos, Paul Truax, William Frear, Winifred Frear, Robert Anthony, Jerome Lovenheim, Jane Ahrens, Boyd Lyons, Winifred Bates, Joseph Bieniek, John and Scott Campbell, Eli Robinson, Clarence Januszewski, Mollie Miller, John Earls, Sal Battaglia, Richard Hanna, Joseph Meilunas, John Putman, Henry Unczur, Sally Unczur, Michael Braun, Robert Bryant, Edward Clark, Allen Cornelius, Walter DeGroff, Jack Martin, JoAnn Merendo, Joseph Pallotta, Thomas Phillips, Ronald Scofiend, Schuyler Tallman, Forest Van Zandt, Robert Youngs, Richard Zugzda, Robert and Herbert Singer and Herbert Shuttleworth set forward and got the Greater Amsterdam Volunteer Ambulance Corps off to a roaring start. At 11:50 p.m. on December 31, 1966 the initial crew of Mrs. Jane Ahrens, Raymond Colinas and Reverend Donald Jansen, answered the first of many calls to come. In the first year, GAVAC gave aid to 1,368 patients answering 1,434 calls and traveling over 22,427 miles. On June 7, 1969, after raising an additional $50,000, the current GAVAC building was open for business. Today GAVAC answers over 9000 calls annually, responding from four different stations located throughout Montgomery COunty, and travels over 350,000 miles annually. The agency now serves as the largest emergency medical service provider in Montgomery County and the AAREMS Medical Region. In addition, GAVAC has nationally registered / state certified paramedics, Specialty Care Paramedics, and a group of dedicated personnel ranging from critical care technicians, emergency medical technicians, to Registered nurses, respiratory therapist’s, attendants and drivers. The staff members not only provide emergency medical services to a rather extensive area, but also serve as the premier ambulance used to transfer patients to areas such as Boston, New York City, Syracuse and Westchester County. When requested, the staff also assists patients on a non-emergency basis to the physician’s offices, down flights of stairs to an awaiting wheel chair van for a doctor’s appointment, or simply back in to bed when they are having trouble getting around. GAVAC is available for all citizens around the clock, seven days a week. GAVAC also participated in many public relations events. Often, GAVAC can also be seen at school functions and athletic events, health fairs, church picnics and major community holiday celebrations. These events include the little Giants football games, the Chamber of Commerce Fourth of July Festival, the Latin Caribbean Festival, the Jeff Johnson Memorial Basketball Tournament, the Regional Soccer Tournament, the Montgomery Meadows Summer Carnival and Amsterdam and Fonda-Fultonville High School Football games. Through this process, GAVAC is able to further educate the community of their roles and dutie’s, as well as provide medical attention should an emergency arise. The agency has gone from two ambulances to ten state-of-the-art ambulances and 2 Paramedic first response vehicles. The ambulances were formerly kept at a gas station on Market Street. Now the fleet of ten is maintained at their current home behind the Amsterdam Public Safety Building with comfortable crew quarters for all personnel. 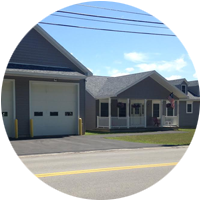 By remaining at the building, GAVAC is able to respond with great speed and efficiency to the requests for assistance. Essentially GAVAC now brings the emergency room to the patient. With technology such as 12 lead EKG, Medicated Facilitate Intubation, Transport Ventilators, Auto Pulse CPR devices, and much more, GAVAC can provide optimal care to each and every person in need. In addition to technology comes education. GAVAC has that area covered as well. With its own Training and Education Division GAVAC continually offers educational opportunities to our own staff as well as any other agency member that would like to attend. By continually providing training and education this division of our agency ensures that GAVAC personnel are the highest trained EMS personnel in the area. As always, without volunteers, GAVAC would not have survived for as long as it has. With five nights and weekends to cover, GAVAC officials deeply appreciate those who dedicated numerous volunteer hours with no expectations from the organization. GAVAC’s response area includes all of Montgomery County, which includes the entire Greater Amsterdam Area, including the Town of Amsterdam, Cranesville, Fort Hunter, Tribes Hill. Fort Johnson, Hagaman, Town of Florida, Town of Florida, Town of Perth, and the Town of Broadalbin, parts of Galway fire districts, Town of Glen, Town of Mohawk, Village of Fonda, Village of Fultonville, village of Canajoharie, Village of Fort Plain, Village of St. Johnsville. We also provide advanced life support services for many surrounding agencies, who from time to time, may not be able to practice at that level from Saratoga, Fulton, Schenectady and Schoharie Counties. 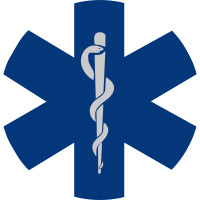 With over 85 dedicated men and women GAVAC proudly remains a leader in the EMS arena.